When I read that 2016 is the National Park Service Centennial Year, I was reminded of all the fun times our family has enjoyed at these marvelous treasured parks and monuments throughout our beautiful country. I am more of a “glamping” girl so our family stayed at lodges, cabins, and ranches, but there are many scenic camping grounds available for those who appreciate sleeping under the stars. The key, no matter what your accommodations, is to enjoy the delights of being in the great outdoors. 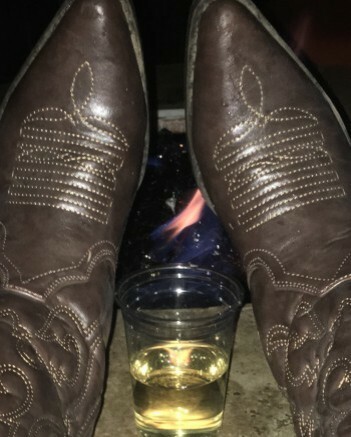 After a day filled with activity and nature appreciation, everyone looks forward to relaxing around the campfire – singing, telling stories, and…sipping a cocktail – a cowboy cocktail, of course. Since you may not have access to ice, the following cocktails are served “neat,” with no fancy glassware, just plastic cups. One cocktail is made with tequila (I use Reposado), and the other cocktail is made from American whiskey (bourbon, rye, etc.). Although I prefer to use Maker’s Mark, you can use any whiskey of your choosing. Pour into a cup and stir. Serve neat, without ice.